Pinus Longaeva on his common name Bristlecone Pine or Intermountain pine are among the oldest living organisms on earth. They can live up to 5000 years. The oldest known Pinus Longaeva tree named "Prometheus" was cut down in 1964 by a doctoral student and was estimated at almost 4900 years. 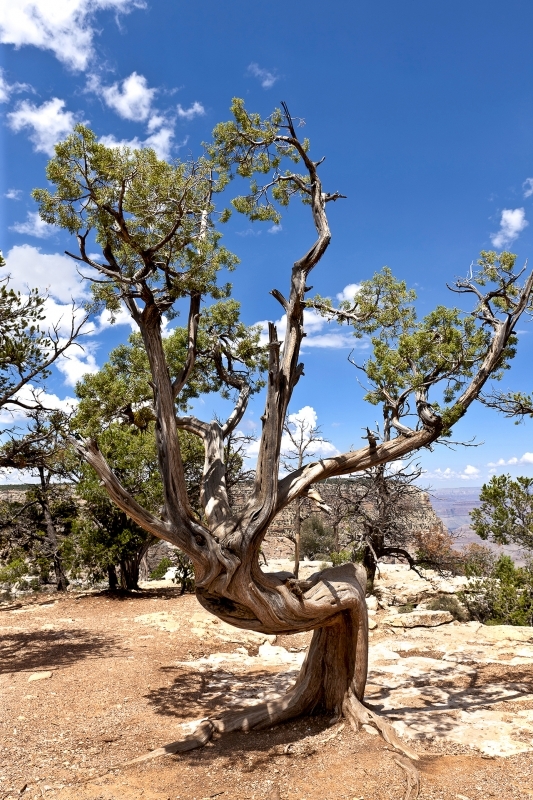 The one in the photo is located on The Rim Trail close to Mather Point on the South Rim inside Grand Canyon National Park.